Yesterday was a quieter day for Chris and me, you might think ‘why do they need a quiet day after only 3 days?’!! – well, if you’ve ever preached and then prayed for sick people for some hours afterwards, you’ll know why! It’s totally exhausting. If you read here often, you’ll know that my ‘style’ is NOT to have a long line of people, and walk along it, tapping each person on the head (worse still, pushing them over! ): I love to sit with EVERY person, giving them time, building even just a small bridge of relationship, giving them time, care, compassion, and in doing that, you ‘give away’ a lot of yourself, and it’s phenomenally draining. So four long meetings in 2 days meant we were both shattered. We had a lovely hour or so with my delightful friend, the Rev Dr William Castaño, who, along with best friend Wilmar Gomez, organises our whole schedule here. I think I can hear people thinking, ‘A theology doctor organises Paul? One of the least theological experts in ministry?’!!! – yes, he does! We love him, he loves us, and willingly opens up his churches to us, and negotiates visits to hospitals, prisons, drug rehab centres too. So yesterday, the schedule filled out even more than when we first arrived, hardly any space to put anything else in over the next two weeks. 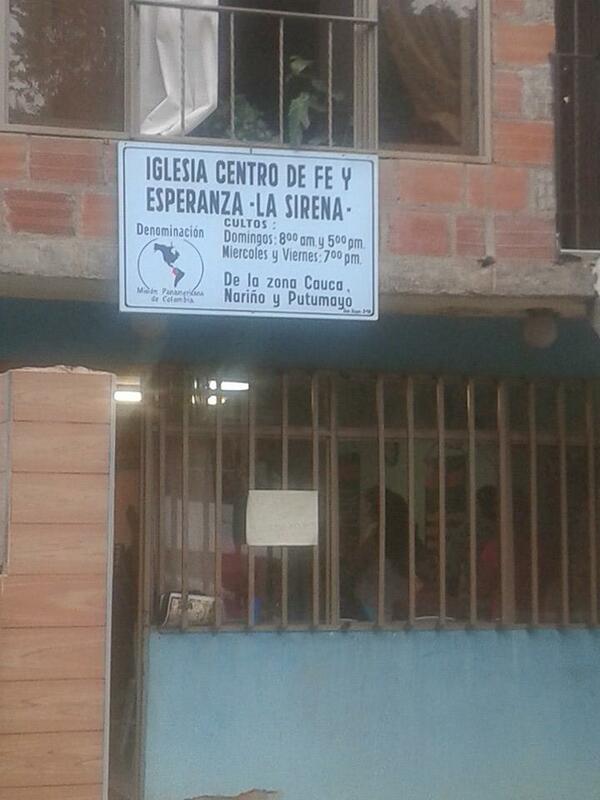 Many churches, hospitals (no prison, this time, yet), and at least three visits to drug rehabilitation centres. Then the afternoon yesterday was going over the re-worked schedule, with Wilmar, his lovely wife Marlene, and getting some time with their two lovely daughters, Sophia and Sara. Then mundane things like shopping! – essential if you don’t want to run out of loo rolls and cold drinks! Isabella had various arthritic and spinal issues, including arthritis in her spine, and her pain subsided considerably. Nelsie had an acute pain in her chest and high blood pressure. The pain disappeared completely…. Adele had bronchial problems and tinnitus. By the time we finished praying, she was breathing freely and the ringing in her ears had stopped. 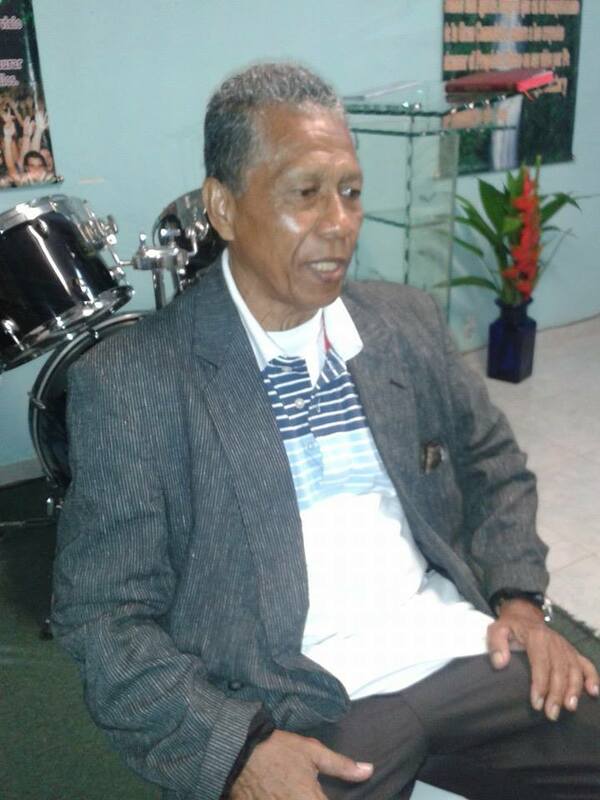 Morgan Freeman lookalike, Pastor Alcides! Alcides has a real claim to fame, though, as he’s pretty much a Morgan Freeman lookalike! SUCH a joy and blessing to be in his church, and the countless other small churches like it. Who’d NOT want to go there when the Presence of the Almighty God is so evident, and the Holy Spirit is running riot healing people? This morning, Chris & I were at a lovely church – Dios es Fiel (God is Faithful). It wasn’t one that rang any bells with me from the past, nor in that barrio (district), La Nuevo Base. We arrived to be greeted by the Pastor, Jaime, whom I recognised straight away: he was a member of a church I preached in a good few years ago, Communidad de Fe y Esperanza (Community of Faith & Hope). It was a ‘prophetic’ day that day, as I’d spoken about the Spirit of God being poured out like a waterfall… there were 4 services in the church that day – 0800, 1000, 1200, and 1600. In the short break between services three and four, it began to rain. I’ve never seen rain like it anywhere, not even in India in the monsoon. About 30 minutes into the service, the roof collapsed under the weight of the water. Thousands of gallons flooded the church, people rushing everywhere to get rid of it, especially on the platform, with all the sound gear and instruments… Jaime heard God’s call that day, knew he should become a pastor, and has been one now for about 7 years. Today was my first time in his church: and it was wonderful. 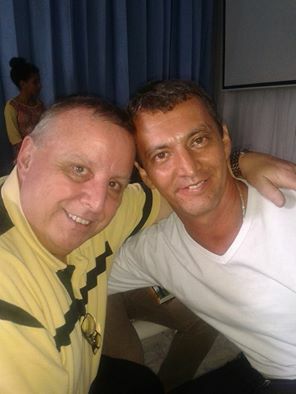 A lovely man with an unusual name – I think it is Deusdario – a Pastor to Street kids and a passion for them that shone from his face, had real sight issues in his left eye(20$ vision, if I recall), and suffered migraines, was healed – that’s him to the left, with moi! Tonight, just about everyone was healed – again, much to my delight, many arthritics, which to me means that my ‘knee healing’ must be getting closer and closer! Chris had preached excellently again, and beloved Wilmar had – by default – ended up as translator… he puts down his English so often, but he was brilliant tonight. 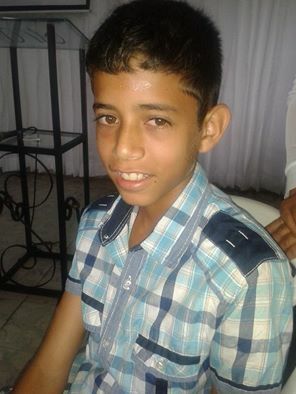 I really will get the list from Chris tomorrow – but one young man, Gerardo, gave his life to Jesus: he’s in a wheelchair, as, on Christmas day, he was shot 16 times, and one of the bullets damaged his spine. God obviously has his hand on him, as 16 bullets would generally, I reckon, find something that would terminate you… and, for the first time since then, got out of hi wheelchair under his own ‘steam’ – not pulled, pushed, or tipped! – no, he didn’t walk out of the building, but he did get up two or thee times, each easier than the previous time, and I look forward to hearing how he gets out of bed in the morning. People who’d had real trouble walking (empathy, I think, is having a great impact on the way I pray for people!) all walked away, pain free. Breathing issues were healed: more migraines: chest pain: one lady with great pain in her breast (no, we didn’t lay hands there!) had the pain go instantly. Another, awaiting surgery on her very painful womb, was healed instantly…. Gloria, with arthritis in both hands and more acutely in her spine. Much of the pain in her spine disappeared and her hands were totally healed.Brian, a young lad with a bad headache, instantly healed.A pastor for street children, whose name I didn’t catch, with headaches and eye problems, completely healed.Several others whose healing couldn’t be confirmed without a medical examination, but who all said they felt better and believed that God had healed them. Miracles at the start…. onwards and upwards from here! With Chris arriving sleepless (from Seattle? Nah!!) from England, a steady morning turned into a very busy late afternoon and evening. We were at a Baptist church tonight, ‘Pan de Vida’ (Bread of Life), pastored by a lovely guy, Arturo Zapato. We were there last July, and then, as well as his church, he opened up a hospital to us, incredibly poor in a mountain village just outside the city, where we saw miracle after miracle, having seen some in is church then. The story is the same – miracles in the church tonight, and the hospital next Wednesday 7th. In church, he first man I prayed for, with great pastor friend Wilmar, had only 20% vision, with glaucoma and cataracts stealing his sight from him over the past 20 years. A noticeable improvement in his sight was a joy to him, and us! – and I felt it would go on through the night. A lady with major pain as a result of a very bad fall – chronic neck and spinal pain – had all the pain go. Another, with compressed vertebra and discs, with ankellosing spondylitis (is that how you spell it? my auto correct came up with ‘snorkelling’!! 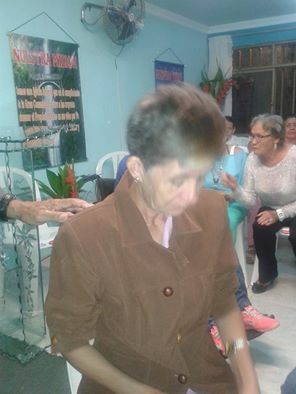 ), extreme pain in the left side of her face, left arm, leg, and foot, was healed on the spot, moving her head in every direction, including 90 degrees left and right, backwards, and circular neck movements. The pain in her ace and left side all went. One devastating prayer time was with a totally distraught mum, Julia, and her 9 year old daughter, Anamaria. Anamaria is 9 years old, had a troubled history with her dad (divorced from Julia) and his mother, who was a witch. Anamaria first attempted suicide when she was 7, and again 6 months ago. Peace fell on her troubled young spirit and mind, and on mum, too: please pray for them, as of course, only tie will tell what really happened inside her. 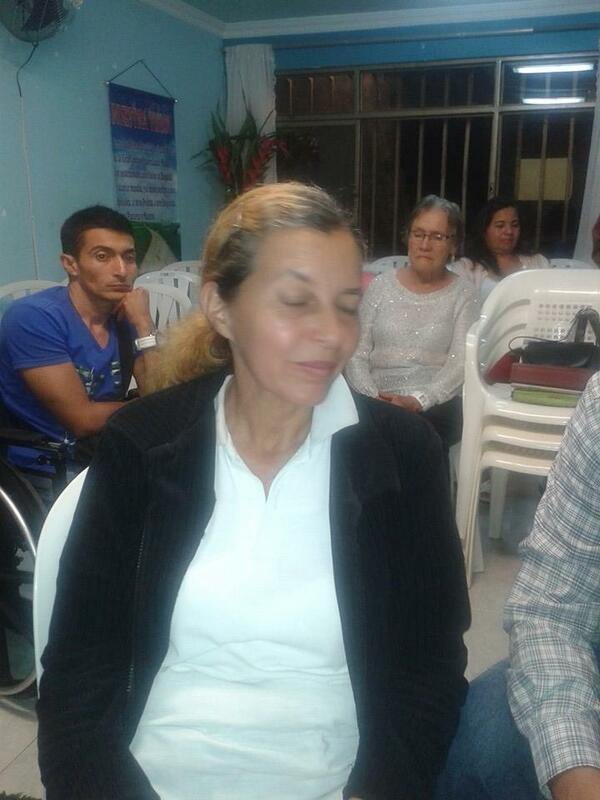 The Pastor’s mother and sister were both healed, which is always nice! – and others were freed from pain and distress. Then, to Dario and Erica’s: but our ‘work’ was not over, as Dario (how I love that man!) always packs whatever house we’re in, with people from his family, or friends, and colleagues, for us to pay for! His mum, Lileana, was healed – and was hit by the Holy Spirit and fell forwards – I’m greatly relieved Chris caught her, as I’m not sure (tonight, at least) that my knees would have taken her weight! Michelle, D & E’s daughter, had a painful arm healed: it came back, and was healed again… others in the family were blessed by God with healing, and it was a great joy to pray for Dario again, who’d had a car hit his motorbike, and had a lot of pain and wounds, including some serious stitches, in his hand and foot. What was even more wonderful was that, in the 2½ years I’ve known him, he’s always worn a tight elastic body stocking, holding his body together from the 30 surgeries he’d had from gunshot wounds. I’d prayed last time (July) I saw him that he’d not need it anymore. He doesn’t wear it any longer. He told me how much he’d prayed for me last summer when he heard I was so ill, and nearly dying, and that blessed me immensely. And tonight he was almost in tear as he said ‘God is my Father’ when Wilmar and I prayed for some of the traumas that surround him as he continues to ‘shut down’ his old life…. Cali!! Wherever I lay my hat….and sooo hot! Miracles on arrival! Well, it’s good to be back in the world’s loveliest city (to me – there are many ‘prettier’ and more grand, but none that touch Cali for ‘atmosphere!). After the horrors of the Germanwings plane crash, and what seem to be the ‘reasons’ for the crash, flying even Belfast – London, let alone London – Madrid, Madrid – Cali (11 hours across very little other than the Atlantic), it WAS a blessing to get here, even without an upgrade! 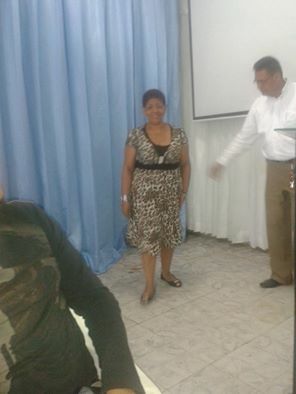 To see the lovely, smiling faces of Pastors Wilmar and Marlene Gomez, just made it perfect. Because of the ‘lung attack’ last August, this 9 months is the longest I’ve been away from Cali, or Colombia a a whole, for many years – it might be the longest gap ever. So though the old knees were objecting, there as NO way I wasn’t going to come! This morning, Chris arrived, about 0800, so it’s great to have a few days with him, he’s a great guy, and this is his 4th time here. We straight into meetings this evening, so no delay! – AND then…after the meeting, we’re going to the home of Dario and Erica, so to get to see Dario on day one is something EXTRA special. Chris hasn’t met him yet, so it’ll be great for them to get to know each other. I arrived to stories of two miracles from July – one, a guy who had dreadful flat feet: he’s got arches since then (! – yes, Lord, please! – as the way I walk with the ‘diseased’ knees that I won’t take ownership of (the infirmity, that is!!) has flattened my feet). AND – a man who, years back had a terrible road traffic accident, and, among many other injuries, had damaged/severed his vocal chords. He had some gadget in his throat, which enabled him to make some attempt at talking, but mostly noises. Pastor Wilmar has seen him, got him on video (I’ll be seeing him later in the trip, so will video him too!) – as HE HAS SPOKEN since that day! Yeeeeaaaahhhh God!!!!!! Thank you, Lord! It’s so wonderful to arrive and hear of miracles straight off the plane: if faith needed raising (it doesn’t!) it rose then! We’ve got a great programme already planned, and more will be added to it as the days go on…. tonight at (2200 UK time) if you’d hold Chris and me up in prayer, we’d appreciate it: we’re at a church high in the mountains to the south, with a pastor who opened up to us, in July, a very, very poor hospital, where Caroline, Carly, Grace, Peter, and I saw many miracles in July last year. We’re back to the hospital this time, but want to ask him to get us in there maybe 5-6 times during this trip. Carly, Grace, Peter, Caroline – pray for the same miracles as last time, ok??!! Up and running (figuratively speaking! – though now I’m here, the knees feel easier this morning, thank you Lord!) – nothing’s gonna stop us now! It’s been a hard (drive) days night!! Seriously, though, I really would value your prayers for these knees: the fall on Friday has done what feels like significant (but I’m not receiving it) damage. At the moment, I can actually move my kneecap with my hands and make it click, on my right leg! So… I’m believing that the ultimate miracle is on its way, and it’d be wonderful to walk through airports – and anywhere, come to that – without a rolling, limping gait, and extreme pain! I feel like an old man…. but only in my legs! This ‘season’, as regular readers of my blog will know, is one of the toughest ‘boot’ camps God’s ever put me through: I AM so aware, and assured, that the season was originally God-instigated, but that, at times, the enemy has capitalised by trying to ‘stick his oar in’ and make the going even tougher! I’m grateful for what I’ve learned during these months: I’m grateful for the new, or refined edge, to my faith, has been sharpened. I’m grateful that God has, like right back at the beginning of the life/ministry He called me to, frequently in these months, taken me right to the edge of my faith, and caused me to take a step further than I’ve been before. It’s not always easy – no, let me rephrase that – it’s NEVER easy (!!) to get to a point where you think you’ve already gone past your limit, only to find that the boundary lines of your limit have moved, and you’re in a new dimension of trust, and faith. Right now, I SHOULD be in Romania: that I’m not, is not down to anything other than my own clumsiness. I tripped up a step in my own house (that I knew was there, of course: I’ve been stepping up it for 5½ years!) and with things in both hands, so unable to break the fall, landed flush on both my knees, with all my weight, while my right shin …er… ‘heavily engaged’ with the steel bar at the edge of the step… for new readers, you don’t have to go back far in the blogs to know that my knees are something of a burden to me – for now! Not being able to walk for 24 hours wasn’t the best thing I could have happen when that day I was leaving for Romania! It was only going to be a 4/5 day trip, with Colombia the day after flying home from Romania: with 3 great guys going to Colombia with me for anything up to 18 days, I know that I had to get my knees somewhat better before leaving for Cali on Thursday. When a hard drive goes, it’s awful: things like my password manager software is on it: other files that for one reason or another haven’t gone to that mysterious ‘Cloud’, so I’m asking God for supernatural recollection of passwords and other significant data that is on the deceased drive! If you pray for me, will you pray very specifically, and urgently (!!) for the means to get a new laptop, please? I need quite a good one, as I do use it a lot for photography stuff on trips, also for video stuff (one day I’ll get to putting those things on the website!! ), and it is essential for keeping in touch for upcoming trips and engagements, too. I’m writing this blog on my equally geriatric home PC, thankfully it still works, but it’s a little to cumbersome to put in my hand luggage! Ministry has been lovely, though!! Last weekend, I’d been asked to speak at a ‘Café Church’ meeting, at High Street Presbyterian Church, Holywood (no, not California! – the other one, near Belfast, and with one ‘l’!). It was a really lovely morning. I prayed for a number of people afterwards, and got to know some of the folk in the church. The minister, Norman, was very encouraging, and has invited me to speak at 3 meetings early in May, so I must have done OK! It was good to meet up with a guy I’d met before, too, but not seen for a long time, who did some songs/worship in the meeting, Marty Clarke. I love connections… for me, it’s the only way I’d ever want to do ministry of any sort, through connections and networking. I’ve had the opportunity, as always, to pray for a number of people individually, in their homes, and seen God bless and heal, or begin the process of healing, for a number of them. Last Sunday afternoon, I was involved in something very special that Wellsprings Church, Edinburgh, do. Once a month, they have a Sunday afternoon event in Starbucks, right in the middle of the city, while it’s open for the public… at Starbies invitation, they take a band, who play (not too loud but loud enough) prophetic worship, and have a number of different ‘areas’ where people can go to see/receive/do prophetic art, hand massage, dream interpretation, ‘spiritual readings’ (prophecy!!! ), and healing… it was fantastic. Every ‘area’ was busy with people, and it was such a delight to do something like that during the shop’s normal opening hours. I prayed for a few people: I might well never know if they were healed, but that’s not the issue.. and also got to chat with a fantastic couple in the church, from Pakistan, Solomon and Angie, and their wonderful family. Solomon wants to organise meetings for me in Pakistan (YEEEESSSS!!!!) in cities and towns where the Taliban are strong, but so is the church, some up on the border with Afghanistan. When this happens, it’ll be one of my dreams come true… Solomon’s dad used to organise crusade – for 51 years – in those places, with 10,000 being a ‘normal’ gathering…. They also work with the Muslim community in Edinburgh, and want me to go there to do some things with them…. God’s so good at networking!! I’ve just had a Facebook message from a lovely guy from Poland, who is in Wellsprings – he and his wife have a young baby , Noah, 7 months old, I recall – who had eczema. Grzegorz, the dad, has just said his skin is much, much better… thank you, Lord! Finish the healing in Noah tonight…. Home is where your heart is…. Colombia and Romania, I’m on my way, I hope and pray! My trouble is, I leave my heart in so many places! – but I think, if push came to shove, and I had to decide where my heart’s home is, I’d have to say, without any doubt, that it’s in Cali, Colombia. It was almost painful for me to have to miss the trip planed last November, caused by the enemy’s attack on my lungs last August: the doctors deemed it ‘unwise’ to fly long-haul (blood clots are the long distance flyer’s ‘risk’), so, being the good boy that I am, I did what they told me. I only flew to Romania instead: well, that’s like an ‘afternoon outing’ compared to Colombia or Australia!! So it’s with great excitement that I head back there, after being at another of my heart’s homes, Romania, two weeks this coming Thursday, 26th. I’m taking three great great guys, all great friends: Chris Spark – a wonderful friend EVEN though he’s Director of Maths at a big comprehensive school!! ; Brian Louden, another wonderful mate, from Maidstone, and a terrific guy, Paul Goodman, from south-east London, and a new great mate. The massive obstacles that the enemy has put up to try and stop me going suggest he’s scared witless about this trip. EVERY trip to Cali is always better than the last one, this one, the enemy has confirmed with his shenanigans, is going to be just the same. The financial ‘strictures’ that seem to have been on my life for a few months, are just beginning to show signs of easing, which is a (big sigh) relief! The enemy’s stuck his oar in wherever he could: if I were to tell you some of the utterly bizarre things that have occurred in recent months, you wouldn’t believe they could all come at once. They did. Believe me! Letters with gifts getting lost in the mail and not discovering about them until months later: an electricity bill for my house here, for September 17-December 18 last year – I left for Romania on 12 September, returned 22 December, and in that time I was in my home for all of 3½ days, for which the electricity company billed me nearly £179! From that bill to the day I left for England – 18 February, well over £100! When I was away in England and Scotland, I read the meter when I left and instantly I got home…. two energy-saver lights on timers, and the fridge/freezer left on. £17!! No-one here. I have someone coming to check the meter this week… Before anyone tells me to change companies, that’s actually not really an option in Northern Ireland, as there is only one company… :(. So many more ‘unlikely’ things like that! So Romania and Colombia loom large on the immediate horizon. I’m loathe to make an appeal for help with those trips: you might not believe this, after my autumn and winter letters, but I really do HATE asking for help for my own needs. Asking for Ana Beiba in Cali – no problem. More recently, for a lovely widow in Romania – no problem (though that appeal fell some way short of what was needed (3900 euros out of 5000 needed), and I hurriedly sold things and dredged every resource I could to ensure that she wasn’t evicted last Monday, from her home. Thankfully, it was reached, though that has left the pot somewhat empty, to say the least! In fact, the pot has had a hole drilled in the bottom… if they put red numbers on bank statements, I’d have a few! But it’s worth it to know that Andreea, the widow, who didn’t know what was happening, and thinking that she’d lose her home, laughed and cried when she knew she could stay. If I make it there next week, it’ll be a joy to see her. Can I ask you to pray, please? For both trips… some wonderful friends have ensured that the fare to Colombia is covered, from London. Of course, I have the Belfast-London return to do on top of that (these days, nearly £200, sometimes over that if you leave it late!!). Accommodation is Cali isn’t cheap, but it’s vital that we all stay together as a team: if you’ve been, you’ll know that, if you come with me, you’ll find that out!! And, of course, ahead of that, is the Romania trip – I will go straight from there, with a brief overnight stop in Addlestone, Surrey, to Cali, to save money. I’m praying that my knees are a wee bit better (understatement!!) than they are right now, but there is no way I’m giving up or giving in to them. The two trips work out around £1500 after the Cali fare is taken away: an unreachable sum for me humanly after scraping those euros together last week, but no problem to God, of course. I’d value your prayers, and look forward to returning to daily blogging whilst in Cali, as per usual, with the amazing stories!! I’ve always said to people, everywhere, that Cali is a city ‘under an open heaven’. On the LANChile airline website, Cali is listed is an excellent tourist destination now – a miracle when you think of its recent turbulent, violent, drug-riddled history – and on that website, it states this: ‘Cali – also known as ‘the branch of heaven’…. Thank you, and bless you… hope to write to you from Romania and Colombia soon! Stewardship, if you’re a tax payer, and are willing to let me have the tax back on your gift: www.stewardship.org.uk – account Paul Bennison, number 20028331 – their personalised form for me is here: Stewardship Support Form, but online is quicker, to be honest! MoneyGram – fast! – Paul Bennison!! – make sure you state NORTHERN Ireland, or just ‘United Kingdom’ as I can’t get if it’s ‘Ireland’ as it then automatically goes to Dublin – that’d have to be before next weekend, though, as I’ll – God willing – be in Romania next Monday, 16th March, and then I could only get it if it’s sent to Romania, or 10 days later, to Colombia! Not so easy, either of those options! Wow, what a great time in England and Scotland!! Only sorry I didn’t make it to my dad’s birthplace, Wales, then it really would have been a Great Britain tour, and a full-house UK one, as I’m now back in Ireland, and speak next Sunday at High Street, Holywood, Presbyterian Church’s Café Church. It’s one of those ‘things’, that, much as I love Wales, and of course, I’m half Welsh, I’ve never spoken there once in my 28/29 years on the road. Maybe one day… maybe God’s saving it up for when the whole nation is in revival again, like 1905! I really should use my natural aptitude for Geography better, or have someone arrange my itineraries for me, as I got the ferry from Belfast to Liverpool 3 weeks ago, and drove straight to East Sussex…was then taken to pray for a lovely guy, Tim, and his wife Becky, in Tunbridge Wells, Kent – Tim has motor neurone disease: I’m really believing for a huge miracle for him… From East Sussex, I headed to almost as far down Cornwall as you can go, to see my sister and brother in law: and from there, like a lunatic, had planned it that I drive to Troon, on the west coast of Scotland: from there to Edinburgh, and then back down to Surrey, where my ‘English’ car lives with dear friends Keith and Margaret. Hmm… a mere 1750 miles! It was great in Troon, with long-time and very dear friends Graham and Margaret, their daughter Jenny, and her lovely son Glenn. They are so lovely to stay with, and Glenn has had a soft spot in my heart for most of his 11 years. Once, when Graham had picked him and a friend up from school, about 4/5 years ago, Graham heard Glenn telling his mate that ‘Paul of God’ was at home… so lovely, so sweet – it meant the world to me, even if he was under a slight misapprehension! A number of lovely, low-key meetings in Graham and Margaret’s home, prayed for everyone who came, I think, and look forward to the stories as they unfold. Last weekend (28 Feb-2 March) I was back at a wonderful church in Edinburgh, Wellsprings, and on Sunday in the terrific church of friends Richard and Agnes Russell, in Tranent. At Wellsprings, some people told of me what God had done for them on my last visit (at least 4 years ago), some lovely stories, and there were more last week, too. Saturday afternoon, I did a sort of ‘storytelling/healing’ practical workshop, and spoke at their meeting on Saturday evening. Loads of people to pray for, some people were touched and blessed there and then, others – as always – I’ll wait and hear the stories as they happen! Please say a BIG THANK YOU to Paul from me (I didn’t have a chance to do it personally today). Even a short conversation with this humble and loving man has showed me how loving OUR DADDY is! I have met the Father I had never experienced before! I have never experienced such love before! My heart was deeply deeply touched yesterday. It was like seeing for the first time how good our Daddy is. I will never be the same again. Thank you for inviting Paul! You don’t know me but you prayed for my teenage daughter a while ago. She’d had insomnia for a couple of years and was really at the end of herself with associated mental health issues.You prayed for her at Wellsprings and she was healed from that day.We’re really grateful. Four years of sleeping, and the loss of all the ‘nasties’ that sleeplessness brings, after two years of little sleep. As someone who fought insomnia for my of my life – thankfully God has blessed ME with sleep the last few years – I know what it’s like. Home now for a few days, and then, almost certainly, headed for Romania a week tomorrow, after my Cafe Church visit to Holywood. Straight from Romania to Colombia, for 18 days, with three great guys going with me. I’ll do a separate blog about that so you get two for the price of one!